Men & Ladies & Members Divisions! Includes Golf, Cart, Lunch, Beer & Prizes following round. 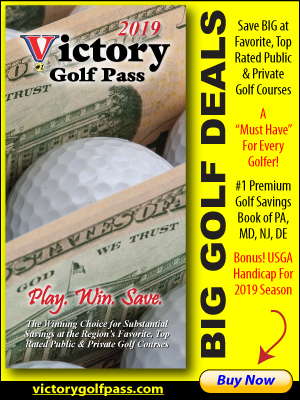 Chesapeake Bay Golf Club’s new Senior Tournament Series for Age 50+ Senior Golfers is held on select Mondays throughout the Golf Season interspersed with our regular Senior Golf League. There’s always a game for Seniors Mondays at the Bay! 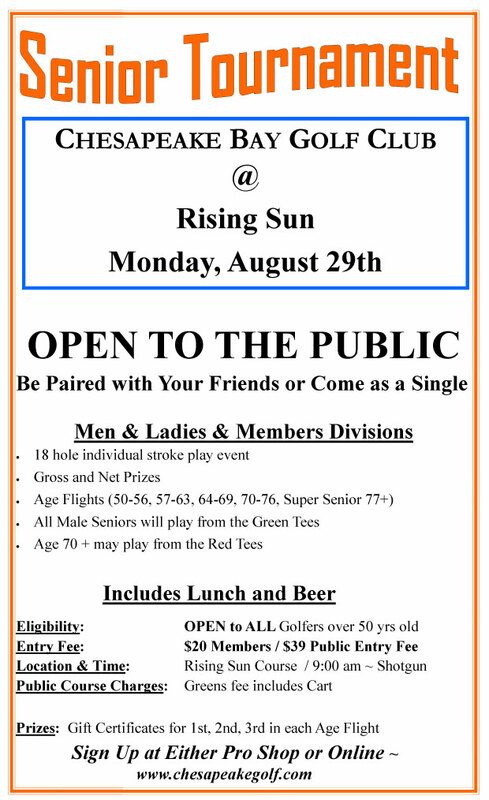 If you are a Senior Golfer Age 50 and over, we invite you to join in anytime! 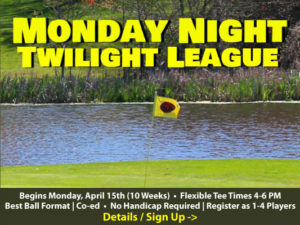 Please see our Monday Senior League and Tournament Series Schedule for full details. No Commitment. Play when you can.